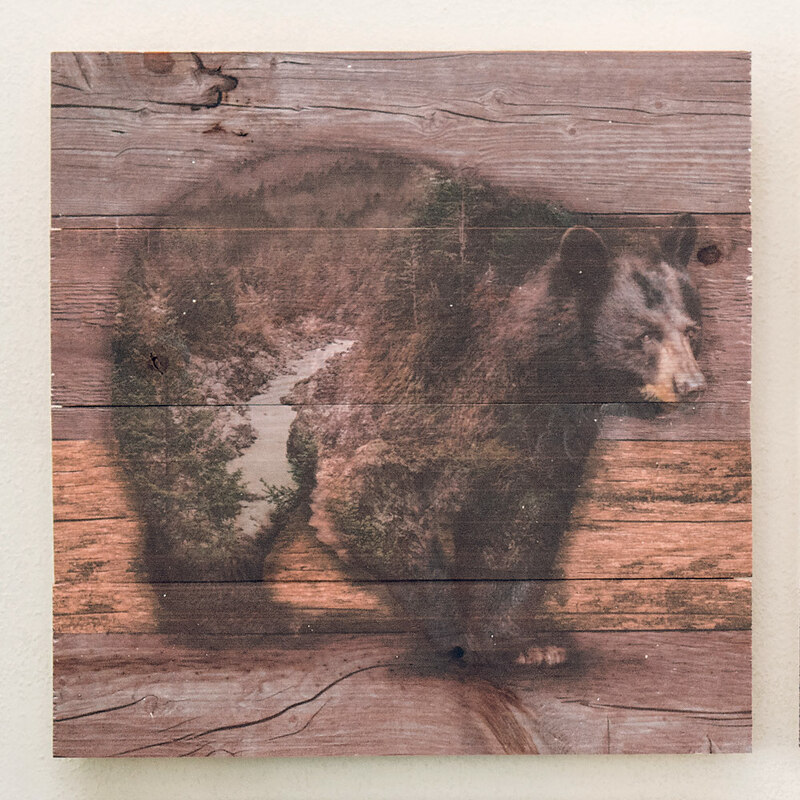 A Black Forest Decor Exclusive - A dramatic forest scene within a black bear creates lodge beauty on this wood wall hangings. Made in the USA. 14"W x 1"D x 14"H.